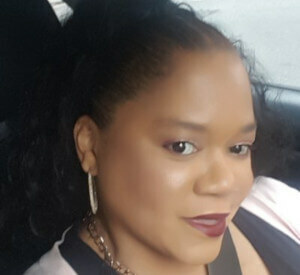 Shereese Maynard received her MS in Healthcare Administration from University of Maryland and is currently founding partner and Chief Information Policy Officer for EnvisionCare strategies. A strong advocate for leveraging technology to advance healthcare initiatives, she involves her teams in information governance, intellectual property, and HIT marketing projects, designed to further accountable care delivery missions. Her professional interests focus on policy development and implementation, technology-driven care delivery, patient engagement, provider development, and healthcare social design strategies. Her current projects include “Leveraging Technology to Standardize Care Management in MD/VA/DC”, “Development of Technology-driven ICFs in New Mexico”, and Technology-driven Mental health initiatives in CT. In addition, s/he serves as board member for Visiting Angels (NJ) Board Member, American Correctional Association, Health Care Compliance Association, Arroyo Fresco Accountable Care Senga Health Care (behavioral health), and Maryland Hispanic Chamber of Commerce. She was voted outstanding member by Nursing and Health Services, MD for 2006, selected speaker for Medicaid System Conference (MMIS) 2012 and was most recently selected as speaker for Health IT Marketing For Direct Care Maryland 2016, where she will be discussing “Technology-driven Direct Primary Care Delivery”. In addition to her professional work, she is a contributor to various healthcare-related blogs and writes regularly for “The Savvy Provider”.